The goal of this course is to change the lives of thousands of people all over the world by shifting negative emotions to positive, help you understand exactly how to get more results out of every single action in your life, and how to live positively even with negative people in your immediate life. 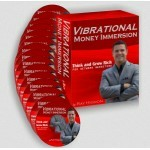 My most powerful insights about making money in this 15 session audio training. If you're not making the money you'd like, it might be because you're not ready mentally. Break the programming and chains that bind you up, and change your vibration towards money today! Fear will keep you stuck and spinning your wheels. But this audio training & study guide will uncover the real truth behind the fear that's holding you back from the success you desire. This recording is one of my earliest trainings on mindset. It’s called Maintaining Your Power and it’s a very unique live and uncut audio recording that I did in from of a large group of people. In this 17-Session course, you're going to discover 99% of the "secrets" that I've use to go from dead-broke, in foreclosure, and feeling depressed, to growing a hugely impactful, multi-million dollar company in just 5 years. 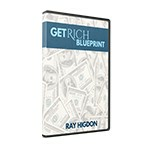 It's not fate or luck that will take you to Top Earner status, it's working smart. 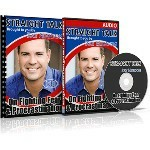 Discover the exact strategies that took me from zero to top earner in my company in less than 12 months! 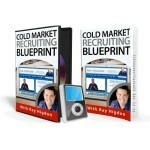 I'd like to share with you not one, but four solid blueprints for recruiting in all areas of the cold market. Once you learn the secrets of handling objections like these, your business will be on steroids as you close as many prospects as you want. 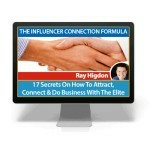 Hard Hitting advice on the behind-the-scenes, daily recruiting routine that I follow & ask my team of top earners to follow. This is content I've never shared before! 28 New Reps in 2 Weeks… 3 New Reps in 1 Month… 5 New Reps in 1 Week… 30 New Reps in 60 Days… 24 New Reps in 3 Days… 7 New Reps in 1 Week… These REAL RESULTS Were Achieved Without Ever Leaving Home or Feeling Weird or Uncomfortable about Anything! 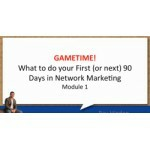 How To KICK START New Reps Into Taking Action Immediately And Give Them The Best Chance Of Success...In 45 Minutes Flat!! How would you like to work with the Top Producers in the industry, the "big dogs" & those with the largest social networks around you? Once you know the secrets for getting behind the curtain and gaining access to these people, building your business becomes very, very simple. 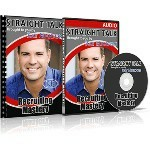 Building a downline that sticks and duplicates is every networkers dream. But how do you make that happen? Get straight talk on what it really takes to build a team that's just as serious as you are about growing their business! 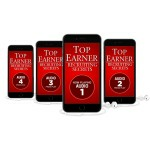 Inside these 4 powerful video modules, you're going to discover what I wish I would have known and been taught during those first critical 90 days of my network marketing career.